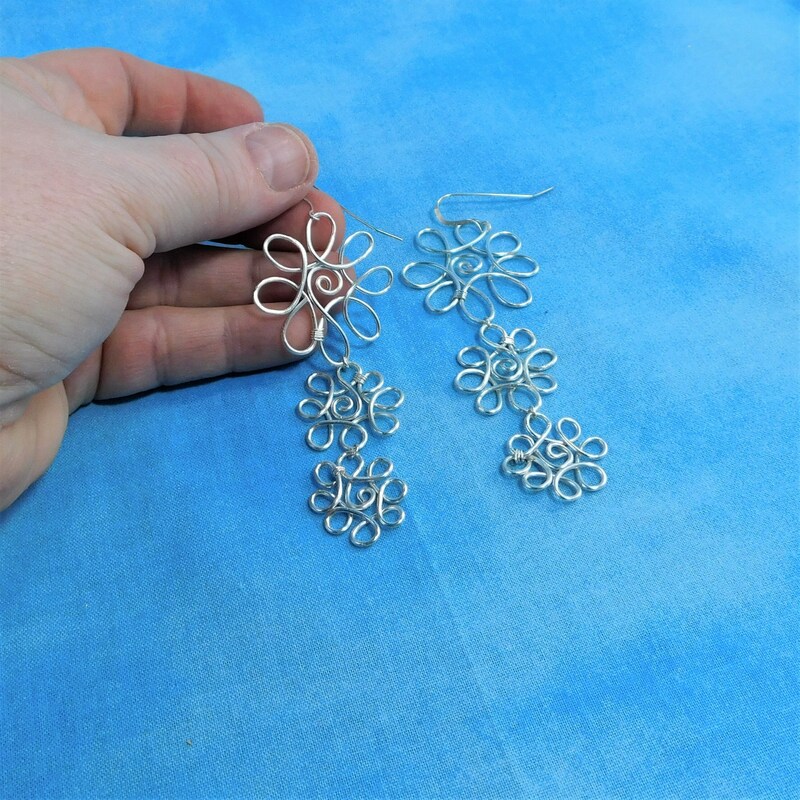 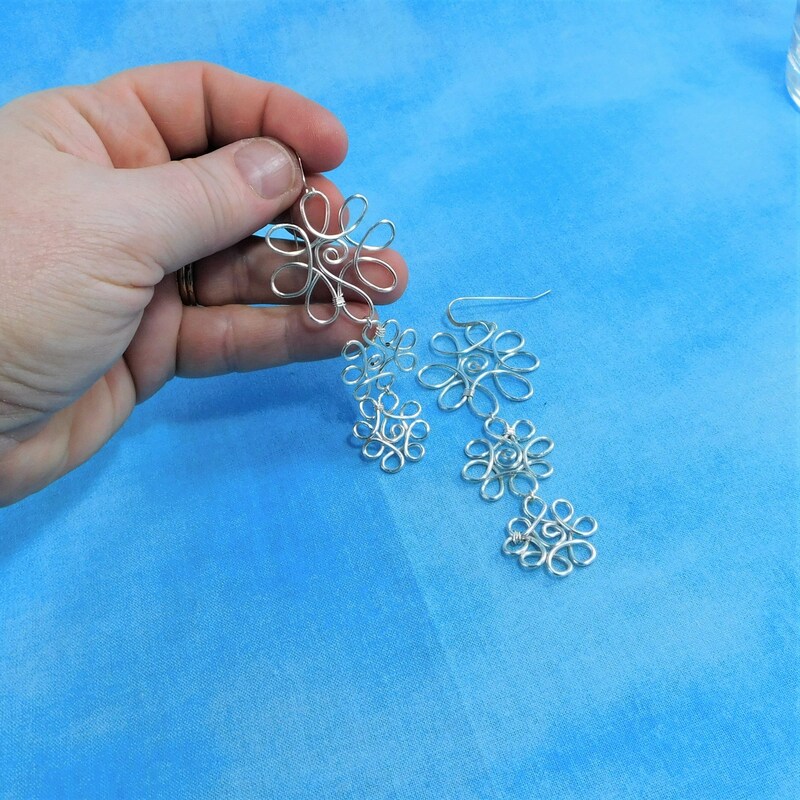 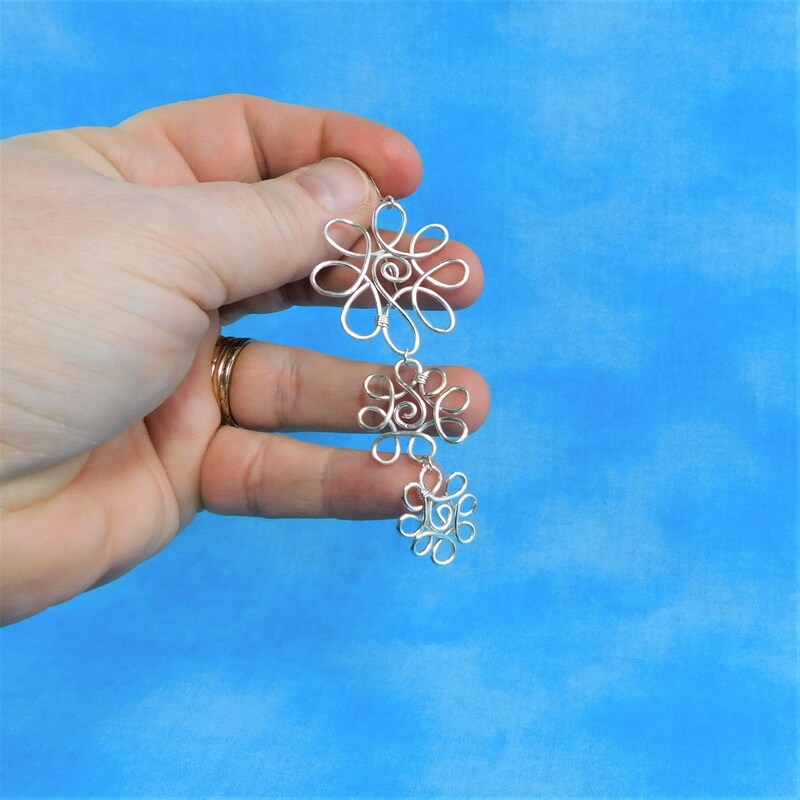 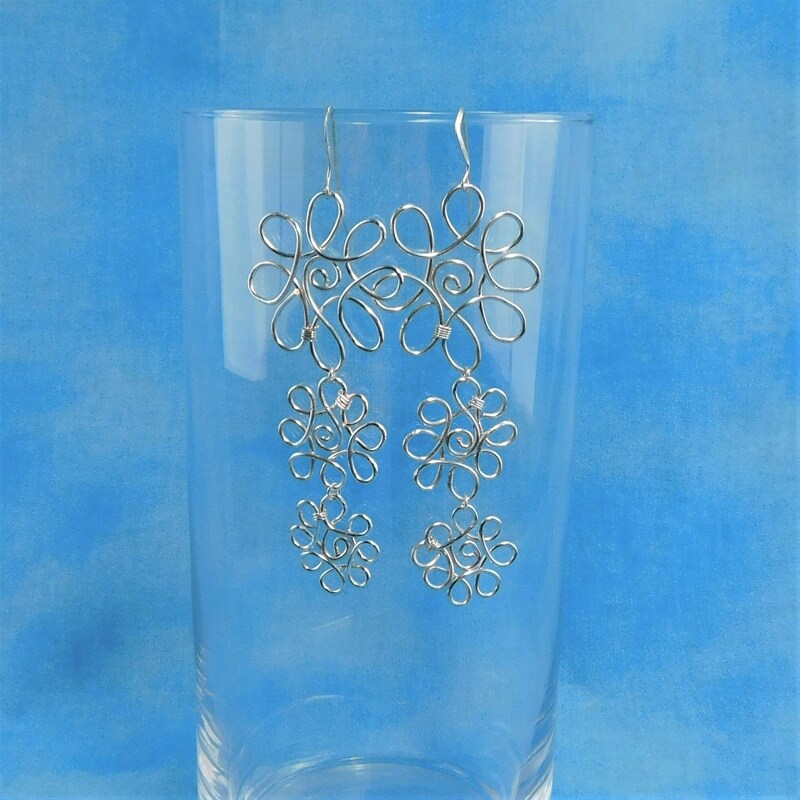 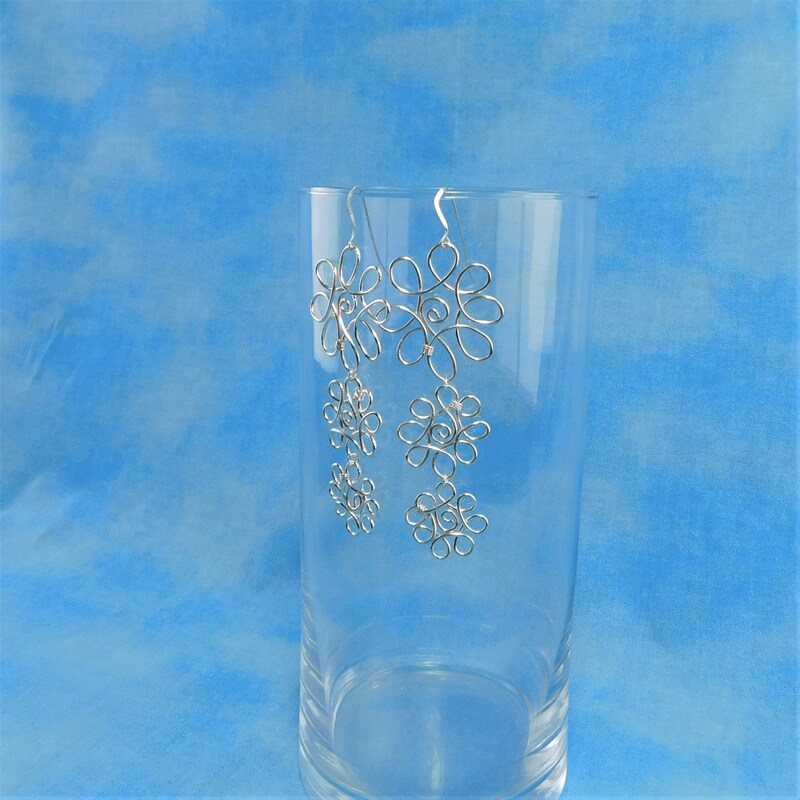 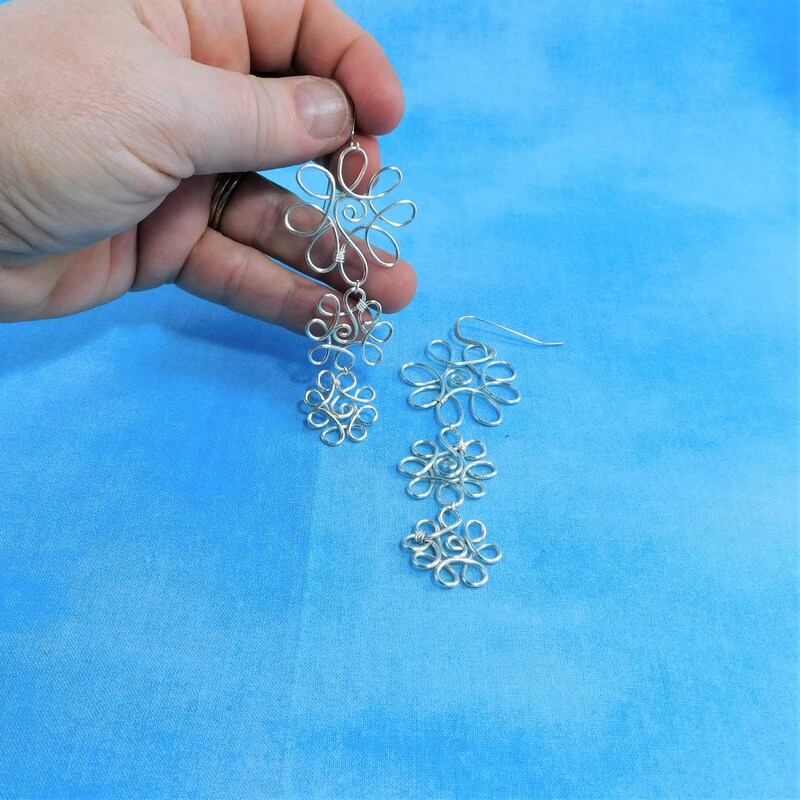 Non tarnish fine silver over copper wire is sculpted into three graduating flowers, linked together and hung from sterling silver ear wires. 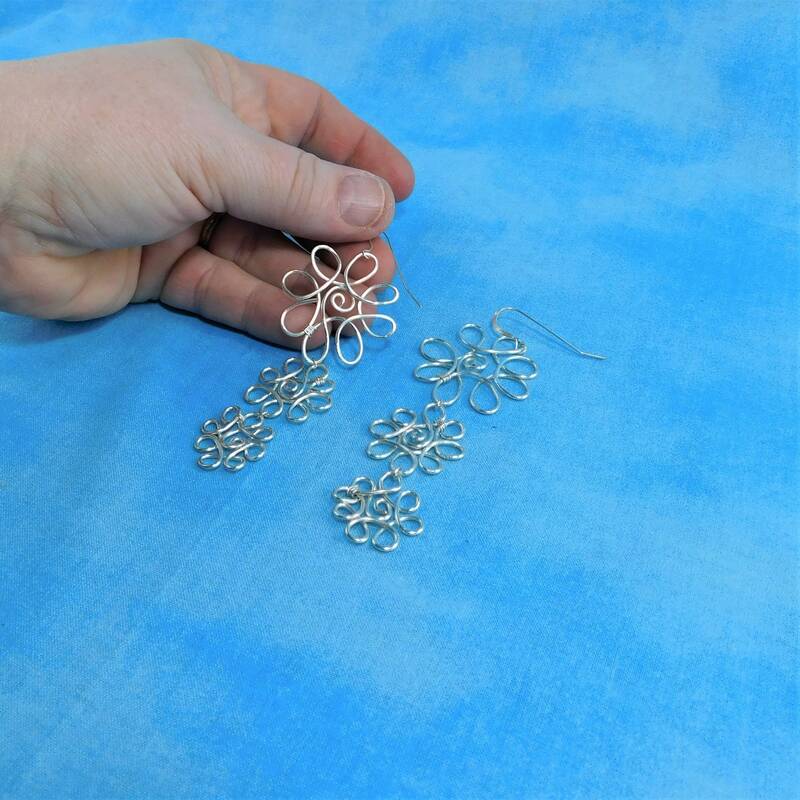 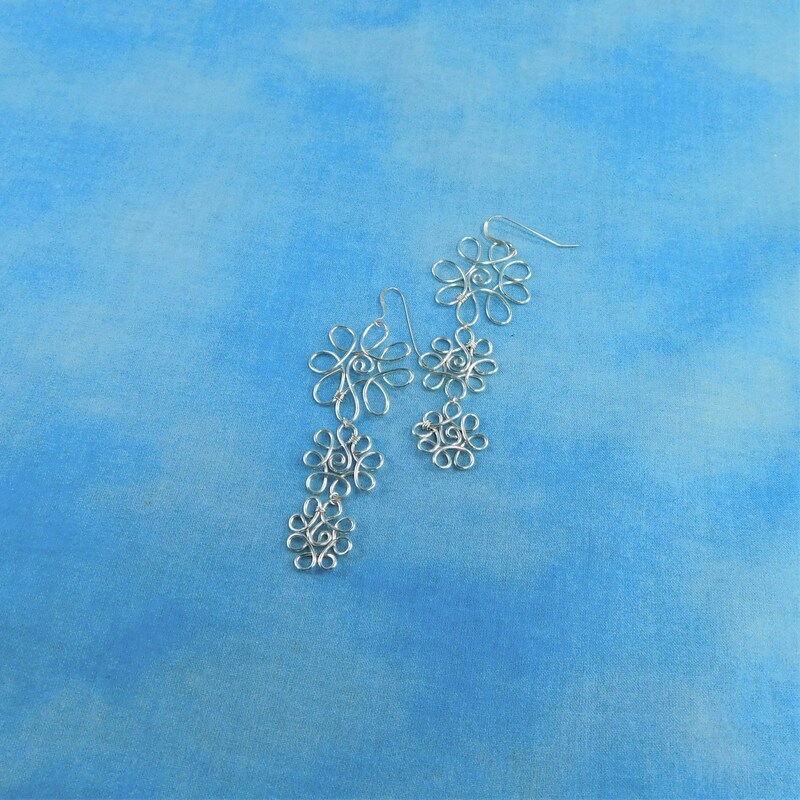 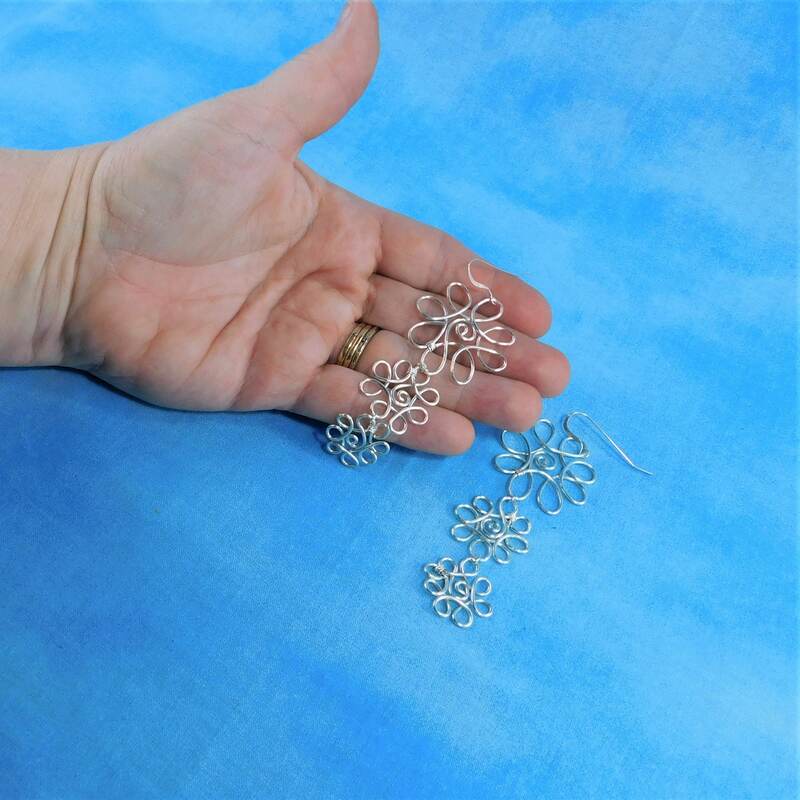 Each earring hangs 3 inches, with the largest flower 1 1/4 inches, the second flower 1 inch, and the third flower 3/4 inch. 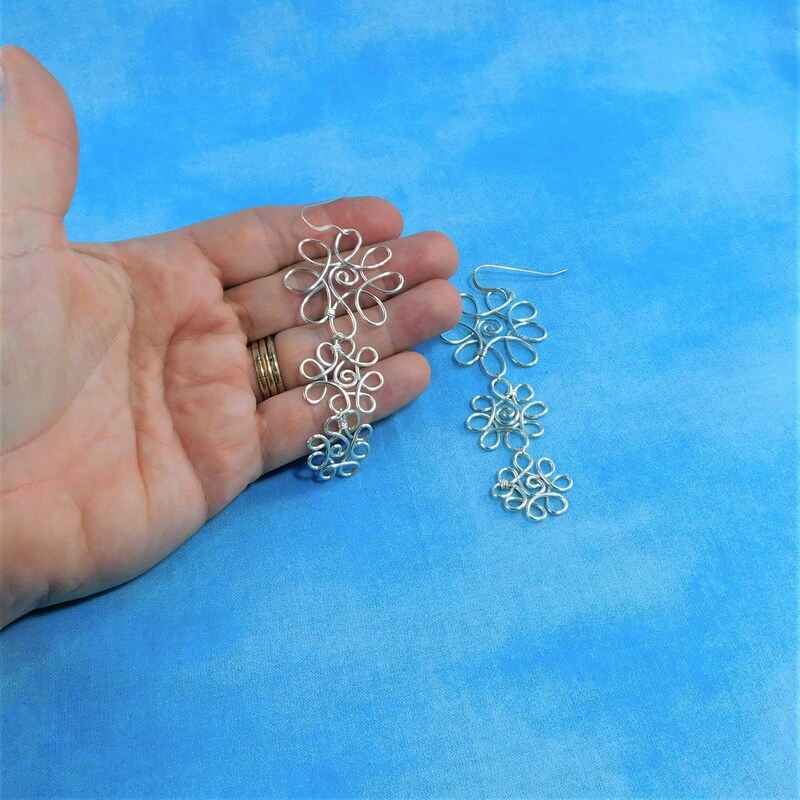 Large in scale, but not overpowering, these earrings elongate the appearance of the neck and look lacy and feminine.